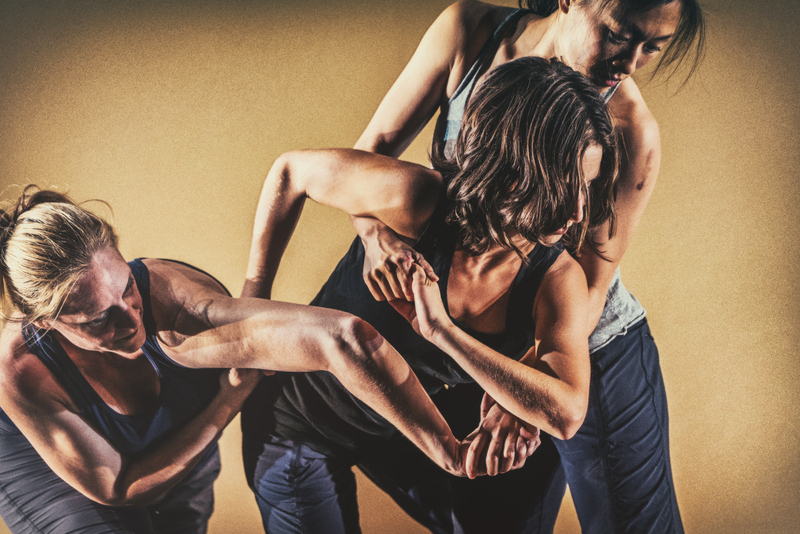 There is a recurrent scene in the first section of GERALDCASELDANCE’s Splinters in Our Ankles: the seven dancers gather downstage, in uneven groups -two duos and a trio- to form a long row. Yet, they do not form a “human wall,” a common motif that appears in many dances -the most recent example being dawsondancesf’s punctus contra puctum where performers aligned, even-spaced, and performed in unison downstage at several moments in the dance, three weeks ago at ODC Theater. In Splinters in Our Ankles, the line the dancers create is curiously asymmetrical, each group staggered from each other. The line has gaps and interruptions, resisting a sense of visual cohesion and completion. It dissolves before any sense of wholeness can be achieved. While watching rehearsal last week, this scene evoked the unsparing challenge of trying to piece together the past, when only disparate memories and parcels of stories are available. Such is the case for many who attempt to fill in the blanks in the history of ancestors who saw their entire culture and identity repressed and erased by colonialist forces. My reading of this particular scene in Splinters in Our Ankles was certainly influenced by my earlier conversation with Gerald Casel, who discussed the consequences of colonization on the Philippines, the land of his ancestors. Casel and I talked about appropriation, cultural erasure and amnesia, themes that he explores in Splinters in Our Ankles, which premieres this week at ODC. Through his research, Casel came to question choreography as a colonizing force. After talking to him and analyzing the way I was reading into his work, I was prompted to consider which types of appropriating structures one puts into place as a kind of lens when (re)viewing art. Below is the transcript of our conversation. Marie Tollon: Can you share some of the research you did for this dance? Gerald Casel: The piece is inspired by the Filipino folk dance Tinikling. The genesis of it was the premise whereby this folk dance is taught and disseminated to lots of people –at weddings, cultural events… For years and years, I’ve seen this dance, which is one of the most famous emblems of Filipino culture. However they don’t discuss that it was during a time of colonization, a time of slavery, in the Philippines [that the dance originated]. So I brushed up on the legend and looked around at the literature that I could find. There’s nothing cut and dried about what happened, how the dance evolved. There’s this mythology around it that says that it was inspired by a bird called the tikling. The dancers emulate the footsteps, speed and agility of this bird, evading the farmers who set up traps in the fields because the birds were eating the rice. In my mind, that’s a metaphor for capture. You are escaping being captive, enslaved. If my ancestors were doing this to escape some sort of oppression, why is that not part of the discussion? When we talk about capoeira or other forms of dance that have resistance built in, it’s discussed. However in this case, it’s not. I’m not saying this is the truth, but I’m unveiling something that’s been covered up. I wonder if it was an act of resistance. In order to perform this, you have to conceal it within a dance. MT: How familiar were you with Tinikling when growing up? GC: I never learned it so I’m very ignorant of it and don’t know where it started. That was the springboard. MT: The title of the piece, Splinters in Our Ankles, brings to mind the brutality and injuries that colonialized Filipinos who worked in the rice fields suffered, notably on their feet, for not obeying the settlers. This is one of the stories of origin for Tinikling. Is the title referring to that story and violence? GC: Absolutely. I’m looking at the leftovers. What did those splinters represent in terms of Filipino culture, identity and history? And how do we tell our story? I’m trying to reclaim my sense of what it means now to be a contemporary Filipino artist. How do I honor traditional forms like this without getting angry, but by acknowledging [this story] and saying perhaps there was a reason why [it was told that way]. This is another part of the piece which I call “cultural amnesia:” Why did we forget? Was it too dramatic or was it more convenient to forget? Is it easier to move on without the pain of colonization? MT: In most colonial relationships, the colonizers impose restrictions on the indigenous bodies and movement in one form or another. Was it the case with Tinikling? GC: No, but as a choreographer in the 21st century, I have come to thinking about choreography as a colonizing force. When we teach dances to other bodies than our own, we are asking them to adapt to an individual body or a style or a belief system that is not theirs. And there is always an undiscussed agreement that dancers will obey what the choreographer is giving. So I’ve been trying to challenge that. There are two sections in the piece. In the first, I made almost no steps. MT: So everything came from the dancers? GC: Yes, except a little bit toward the end because I got very frustrated that I had to finish the piece! I feel the choreography is the oppressing force. It’s not really dark and ominous in the way I am portraying choreography but I am thinking that as a form, we can rethink how we give or take away agency from the dancers and how they allow us [to do so]. What is that process of inviting an agreement between 2 or among 6 or 7 bodies? MT: For Dwelling you used a random movement generator to produce movement. Did you use choreographic systems when making Splinters in Our Ankles? GC: Not in a systematic way like I developed the format in Dwelling but I invited a lot of movement response from the dancers. One task was to speak for 5 minutes while drawing for 5 minutes and then generate a movement response to that process – not to the content but to the splitting of the brain. When you are describing something in a narrative way and you are drawing, both halves of your brain are working at the same time and it disrupts the process where one usually goes and starts with the body. Because you are trying to track several processes you are distracted. I’m a meditator so I work a lot with the mind. I’m always aware of the quantity of information that one gathers and all the stories that you tell yourself, and how those forms are so subjective. When you are creating movement, you have the same liberty but we take it away. You’ll see it in the beginning of the piece where [the performers] are talking and moving at the same time. It’s inspired by Jeanine Durning [although] her process is much more about tracking or getting ahead of your brain. Here I use it as a wall of energy. MT: So you are using text again in this piece? GC: Yes, in a big way. I’ve had them work with rondos and we created limericks from the words that we gathered from this writing assignment. I’ve been thinking about these classical and Eurocentric musical structures. Why must we always look at art or dance or music through that lens? I process it and filter it through that device. Inside of it you’ll see a rondo, you’ll see a fugue, there’s a lot of simultaneity or counterpoint happening with the voices, but also with the movement. Another thing I have been thinking about is the way dance ethnography is researched. We apply cultural anthropology on top of the lens of dance. Again this is a Western construct. I wonder if it is always valuable to write it down and put words into it, when dance is actually trying to escape words, is ephemeral and subjective. MT: One of the themes present in the piece is assimilation. I imagine that is something you also experienced in your own dance training? GC: Absolutely. Although it was very international, there were not many people of color (in my class) when I was training at Juilliard. We were definitely the minority. We had to learn ballet and modern dance -which are primarily American forms- and this is the classical base of my training. On the side, you would learn Spanish dance, Bharatanatyam, salsa, and other dances but those were always on the periphery and not in the center of the curriculum. I think there are a lot of changes now, where we are deprivileging Western forms and looking at all diverse forms as valid and on equal footing. Another thing that I’ve been doing is subverting the power structures in dance. So in terms of colonial structure, the colonizer is taking from the indigenous people. What if that was reversed, I ask? What if a person of color steals from a white person? In this case, I steal from white choreographers -Trisha Brown, William Forsythe, Joe Goode, even Jeanine Durning. What is that process of taking someone else’s intellectual property, putting it on yourself and claiming it as your own? In fact, I’m not trying to do it in a negative or pejorative way but I’m calling attention to what would happen if the power structures were reversed. Is it stealing when you are saying it out loud? I’m pointing to the fact that it happens all the time. When you do ask permission, how difficult is it to share information? Do choreographers have that kind of power over their work because dance is so temporal and vanishes? I can take the object of choreography and put it into my structure. Last year I traveled to the Philippines and this past summer to Hawaii to conduct research. Being around a non-Western place kick started my research – seeing how Hawaiians talk about their ancestors and how the process of colonization is embedded in Hawaiian culture. The same thing [happened] in the Philippines. These legacies endure. We are left to our own devices. There is a lot of soul searching that I’m doing through this choreographic process. Whether or not I’m arriving at what’s Filipino culture, I’m definitely lifting cobwebs. I am also looking at how I perpetuate these assumptions about who we are. MT: What guided your choice when picking the white choreographers you “stole” work from? GC: There was no guiding principle in how I chose the white choreographers. I simply noticed that when I look to those who inspire me (within the context of modern dance), most of these figures are white – which says a lot about the dance community within which I work and see myself belonging. I also think that this “stealing” is more like an homage to these choreographers rather than a plagiaristic act. I didn’t actually steal their steps but was more inspired by what they were thinking about through their process. Because of the porous nature of sharing our work through performances and workshops – and how choreographers often share dancers, information gets transmitted through the body whether or not it is intended. I suppose I am calling attention to this process in this work. MT: Another theme that you explore in Splinters in Our Ankle is mimicry. Can you talk about it? GC: I’ve been thinking how unison is very much related to this idea of mimicry or learning material from another body. As an immigrant to this country, you try to assimilate, especially when you are a little kid. You don’t speak the language, you don’t look the same as anybody else. There are a lot of contentious emotions there that I am teasing out. But also, I’ve been reading about Asian American identity, particularly [the writings of] David Eng about this idea of mimicry. It’s always an assembly of things that don’t really come together and therefore you have this sense of ambivalence and melancholia. This really hit me when I was in Hawaii because one of the speakers described this Hawaiian dancer as being reserved. And someone asked: “Then are they really free?” And I really had a hard time with that, because it’s hard to know what someone else is going through and what this “reserved” looks like, or what freedom looks like in a body. How can we reduce it to these words? And even when Hawaiians describe how the settlers came and raped their villages, they call it “contact”, the “first contact with the West.” I raised my hand and asked “Why do you use the word contact?” That feels like a very safe (and consensual) word when in fact this process is very violent: you are being taken over; your land, your resources are being taken over; your identity is stripped. How is that contact? And he couldn’t answer me. Among the many cultural offerings happening on December 10 in the Bay Area, two events, although non-related, share thematic intersections. One is the opening of Gender in Translation, a multidisciplinary series of events dedicated to investigating the notion of gender in the social sciences, philosophy, and artistic fields. American philosopher Judith Butler and French sociologist Eric Fassin are two of the thinkers involved in this conversation that spans between December 2015 and the fall of 2016, at institutions such as UC Berkeley, California College of the Arts, the San Francisco Art Institute and ODC. 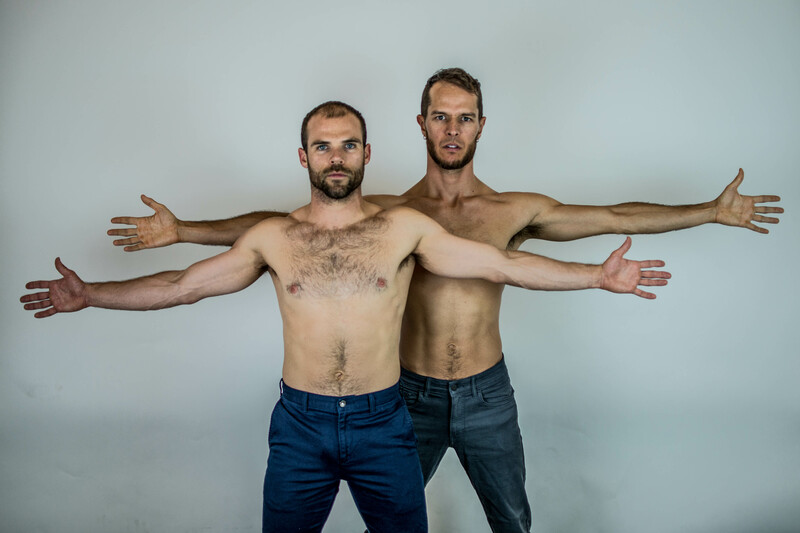 December 10 is also the premiere of James Graham’s Homeroom, an evening-length duet which is the culmination of a three-year project in which Graham and long-time dance partner Sebastian Grubb have been exploring male relationships, masculinity and human connection. Although not part of the Gender in Translation program, Homeroom touches upon gender issues by questioning how masculinity is portrayed in our culture and how performance can subvert traditional representations of maleness. 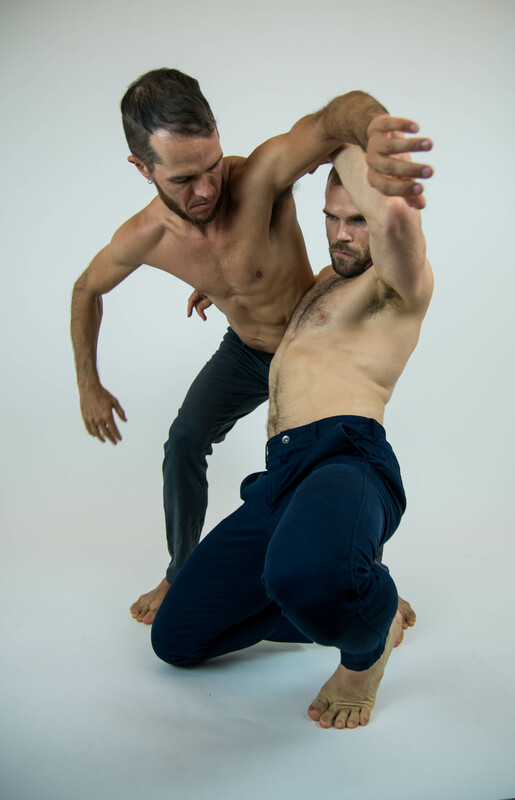 In the piece that opens next week at ODC, Graham and Grubb revisit We Would Sit Together in Homeroom (2014) and Michael and Roland (2015), which have been slightly modified in order to segue into a third duet which they recently completed. Graham’s three-year investigation is also reminiscent of art works that concentrate on a specific group of individuals observed over time. Recent notable examples include the work of photographer Nicholas Nixon who photographed the Brown sisters every year for forty years or filmmaker Richard Linklater who shot the cast of his epic Boyhood on a regular basis between 2002 and 2013. These works address the marks that time imprints on the body as well as the emotional and psychological evolution of its characters and narrative. Although Homeroom’s research covers a time span much shorter than Nixon’s or Linklater’s works, it features the same two individuals revisiting past gestures and performing new ones. Those who have seen the first two inceptions of the project will certainly appreciate how the performers’ artistic relationship has developed and deepened over the past three years. Graham and I sat together last week to talk about the piece. Marie Tollon: We Would Sit Together in Homeroom (2014) was the first duet you choreographed and performed with Sebastian. Did you have in mind then that it would become the first inception of a three-year project? James Graham: Not at all. I knew I wanted to work with Sebastian. But the original idea was to do a small piece, something short. We made the first duet in a month [beginning in December 2013]. I enjoyed the process and was proud of what we made. I don’t remember the exact moment when I decided to make a second piece, but by then, I had the intention of making a series of three and presenting them together as an evening. MT: The first two duets appeared within the context of an evening with other choreographers’ work. Can you talk about revisiting these two pieces, creating a third one and combining them into an evening-length work? JG: There are many compositional considerations. Each section has a beginning and an ending. But if we present them as one piece, one evening, you don’t need a beginning or an ending in the middle of that evening-length work. So, I have had to rethink or rework this material so the experience is one piece and not three separate pieces. It’s also interesting to honor the fact that the first section was made and presented two years ago, and the second a year ago. Some of the scores would be very different if we did them now; our relationship has changed and evolved, my sensibility as a choreographer has shifted. Is the work archived and set, or is it alive and changing? I think it has to be a bit of both, but leaning towards the later. Our strength is being fresh and present with each other, listening and interacting; it is not as interesting to me to simply recreate the choreography of what we did two years ago. These live presentations were a part of the development of this work that we continue today. The first duet was the most personal. It’s about me and Sebastian: how we are friends, what we think of each other, how we move and support each other. The second one is about power and control; the roles that we inhabit as choreographer and dancer, as makers and artists, as animals. And the newest section is more general or inclusive. It is about the roles that men inhabit as uncles/nephews, best friends, teammates, lovers, frat brothers, etc… We move in and out of these different roles and spaces, and explore how men accept these roles of behavior or not. I’m interested in how men interact, how men exist, and how some of it is good, some not so good. I’m interested in how gay men and straight men can learn from each other and love each other. I’m interested in the difference between sexuality and sensuality. I’m interested in the way men are raised, how women raise men, how men raise men. I’m interested in how we might get rid of talking about men as being “men”; how does talking about masculinity and maleness become a self-perpetuating trap, reinforcing the very notions we seek to disassemble? Do we/I contribute to this dialogue hoping to offer a varied point of view, but risk contributing to the stereotype and expectations of male roles in our culture? I’m interested in how two humans connect, are real and honest, see and honor each other. This is the most difficult, beautiful and profound thing to me. MT: To come back to the question about masculinity as a trap, what are the ways in which you have been able, through movement and/or text, to address stereotypes often associated with masculinity such as power or heroism, and subvert them? JG: We subvert the hell out of it! It’s not interesting to me to try to flip all the obvious masculine stereotypes that we can think of. Rather, we explore some of the ideas of being a man that are interesting to us. I think seeing two men on stage supporting each other physically, touching, loving each other, having fun together is subversive itself. The first moment we began this process up until now during our premiere, we have been operating inside of a subversive landscape. Men don’t dance. Men don’t touch. Men don’t question. Men don’t explore what it means to be a man. It’s all bullocks, and it’s a story we -our culture- agree on. However, when I walk among the greater population, I know that being embodied and touching another body, especially male, is subversive in our culture. Owning your [male] body on stage is a powerful act, doing that with another male body ups the ante. I also believe, and have seen in the development of this work, that whatever I do, as a male-bodied person, is masculine. Or that at the very least a male has done the act. So there is no ideal male or masculine behavior. The definition of maleness is not the birthright for only muscular men, or straight men, or big-dicked men, or white men, or men with 20/20 vision or whatever. Any version of male could equally claim maleness, man, or masculine. What I love about humans is what I love about good work (choreography). We are complex, words often fail us, definitions do not seem quite right… there is ambivalence or confusion, doublethink, and a lack of clear answers about human existence. Also, this way of feeling…How can I feel short and tall at the same time?! The complexity and dualities are what is interesting to me about humans and inside of choreography. MT: Who are your main artistic influences? JG: Joe Goode has been a huge influence. I’ve worked with him on and off for the past ten years. I’ve always deeply admired his ability to craft a world and/or characters that easily transition between text and song, and movement. Definitely Ohad Naharin. It’s not necessarily a one-to-one choreographic inspiration…but more Gaga – the sensibility of full-bodiedness, pleasure, really being in your skin on this planet- and how that informs the research, the development, and the performance of my work. Gaga and Ohad’s sensibility through Gaga permeate every step. I feel Hope Mohr’s organization and her attention to asking herself: What do I want? How do I get more of what I want? What I am interested in in this moment? That rigor, that self-questioning, that way of working come through in my process as well. MT: An artist recently mentioned that she uses movement when words fail. What is your approach to text? JG: I came to be a dancer from acting and singing, so it comes from the same place inside of me to speak or to sing or to have emotion on my face when I’m moving. I have always liked dance theater. It feels like the natural way for me to present work and ideas. In tending to audiences, [text] allows people more avenues into your work. If your movement doesn’t allow that, maybe text will. Or maybe it may wake them up, if the movement lulled them. Delivering text on stage is a different craft. It’s something people study for their whole lives. You need to find the balance between realism, naturalism, conversation and projection, delivery, presentation. It’s like movement. You are not just walking down the street. You are on stage. I don’t believe simply because we speak in our every day lives, that it is an easy and natural application of that onto the stage. We, as dancers, should seek training, advice, and knowledge about the ways to deliver text. MT: The text you use is mostly very personal. How is it created? JG: There’s no one way that we’ve created text (or movement or lifting sequences). Some text I come in with, some text comes from free writes, and some is prompted. The “Uncle” text [in the first section] came from Sebastian and me having an hour-long conversation about intimacy, touch, sexuality, family, vulnerability… I recorded our conversation and excerpted these words. The “I want to make a piece with you…” text came from actual ideas that I had been collecting for years and also some that we came up with and edited in the studio. Sebastian is great to work with in many ways, but one of those ways is that he and I work well at bouncing ideas and text back and forth; we have a lot of “What if we said this?” moments in rehearsal. We polish or improve what the other suggests. We will then craft them over time, including repetition, adding a gesture, feeling what is right for an on stage delivery. We often keep the text alive, or in a shape that we can play inside of, rather than a set script. Instead of getting lost in the text, I back up and try to think of what the text is in service of: Is it about showing a deeper emotional place, sharing exposition or backstory, connecting us more, offering humor? 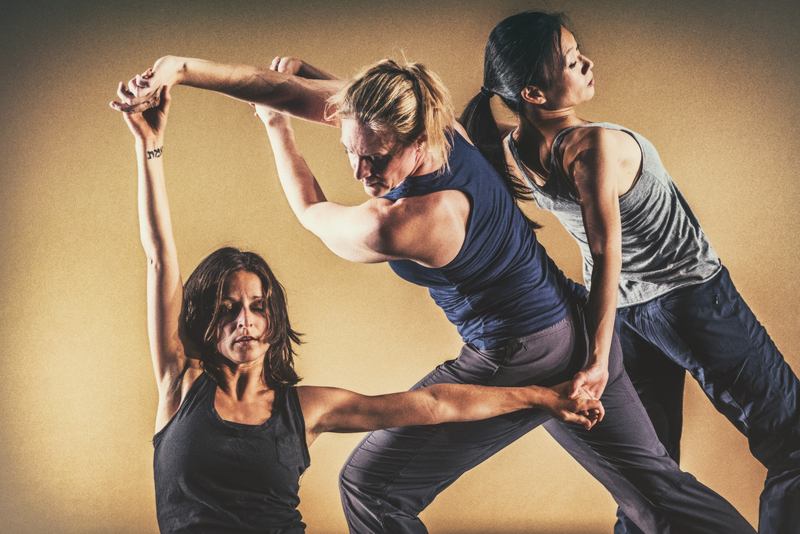 MT: Do you have choreographic tools that you use when making work? JG: Yes, many… it’s a mixture. I video, keep notes/journals, do free writes, improvise, etc. Early on I play with improvisation scores, ideas, prompts and video a lot, then pull out qualities, lifts, durational ideas or relationship structures from the videos and we re-learn them. Surprisingly little remains in the final piece, but it’s a starting off point and helps us find what resonates most. In the most recently created duet, there’s what I call the “spotlight series,” which is made of 13 little vignettes. These came mostly from the videos. In the same duet we worked with handshakes. How do different men -father/son, soldiers, boss/employee- shake hands? We were exploring how personal and intimate the scale, the range, and the physicality were. In the beginning, I also worked with ideas that were ritualistic and slow in terms of time and quality, and other ideas that were kinetic and chaotic. Very little of these early ideas are in the piece, but it definitely fed what came later: the ideas of the roles we play, step into, or go towards permeate throughout this section.